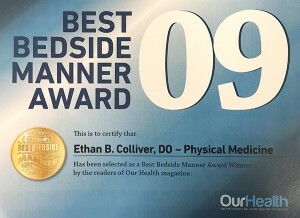 Dr. Colliver’s clinical practice is as varied as are his clinical interests. 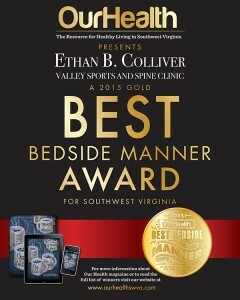 In addition to being an expert at treating neck and low back pain, Dr. Colliver is one of few physicians in Southwest Virginia who treats chronic painful conditions such as chronic daily headaches, cervical dystonia and spasticity with Botulinum Toxin (BOTOX) Injections. He was also the first physician to bring ultrasound-guided diagnosis and ultrasound-guided pain relieving injections to the Blacksburg region. 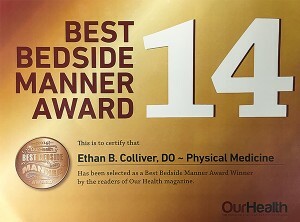 Dr. Colliver has expertise in reading musculoskeletal imaging such as MRIs and CT scans. 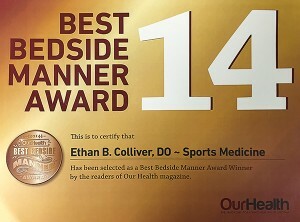 Dr. Colliver has a strong interest in sports related injury rehabilitation. 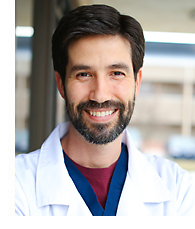 He is very active in education of local physical therapists and has developed several unique treatment protocols that are now widely used by the physical therapists in the area. 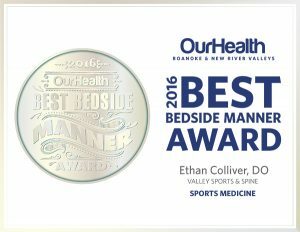 It is his passion for research and learning that inspires Dr. Colliver to continually search for the latest and most effective treatments for his patients. 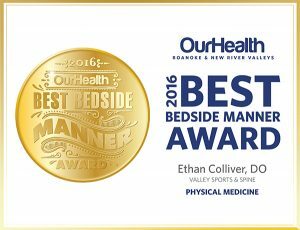 Dr. Colliver lives with his wife and four children in Blacksburg. Outside of work he gives public service lectures, and provides community-based education on subjects such as work and sports injury prevention. In his free time, he and his family enjoy hiking, camping, and pottery.